In the Philippine domestic basketball league, known as the Philippine Basketball Association (PBA), there are 3 conferences that make up a single season. These are the Philippine Cup, Commissioner’s Cup, and Governors’ Cup. The PBA is smaller in comparison to other large international leagues like the NBA of the United States, but it still garners a lot of attention thanks to the interest in basketball in the Philippines. 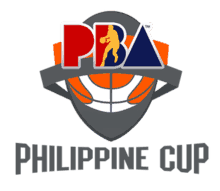 This page focuses on the Philippine Cup conference of the traditional PBA season. The Philippine Cup plays out in the early part of the year. You will find information on the current teams, how last season played out, the best websites for safe and legal basketball betting online and more. Is It Legal To Bet On The Philippine Cup? Yes. All PBA basketball betting is legal in the Philippines if wagers are placed through licensed and regulated offshore gambling operators. Philippine gambling laws permit gambling, but Filipino authorities dictate which channels residents are allowed to wager through. All of the online sportsbooks listed in this guide have been vetted by our team of online basketball betting analysts for licensing and regulation credentials. You can rest assured the sites listed in this guide fit into the qualifications laid out by the Filipino government. In addition to Philippine Cup betting, with online sportsbooks, Filipino residents can also bet on Philippine College basketball and more. The Philippine Cup season functions a little differently than what is seen in other leagues like the NBA. Instead of a long 82-game regular season with best-of-7 elimination rounds after, the Philippine Cup is shorter, leaving teams with little time to make an impact to secure their place in the postseason. The Philippine Cup season features single-round robin eliminations. There are 11 games per team and each team is seeded based on their records. The top 8 teams advance to the quarterfinals. The quarterfinals are split up into 4 series, where the #1 and #2 seeded teams have a twice-to-beat advantage over the #8 and #7 seeded teams. The other two series are played out to a best-of-3. The semifinals are best-of 7, as are the Finals. How Did The 2017-2018 Philippine Cup Season Finish? The Philippine Cup begins in December and runs until April. This particular conference features more teams than the Commissioner’s Cup or the Governors’ Cup because one is eliminated from contention. We will cover how the season went down, but first, we’ll provide the final standings of each team with their records. As you can see, the competition level is quite close, especially in the middle area. Once you reach the bottom there is a severe drop in form. You can see why the Kia Picanto was eliminated. After the regular season, the quarterfinals began. #1 San Miguel played #8 TNT. San Miguel had a twice-to-beat advantage, however, they won the game so there was no need to play a second. #2 Magnola played #7 GlobalPort and Magnolia also had a twice-to-beat advantage. They too won their first game, eliminating the need for a second. #3 Alaska played #6 NLEX in a best-of-3 series and won the first 2 games. #4 Barangay played #5 Rain or Shine in a best-of-3 and clinched the series in 2 wins. The semifinals were a best-of-7 series. San Miguel knocked out Barangay Ginebra in 5 games. Magnolia defeated NLEX in 6 games. The Philippine Cup Finals were also a best-of-7 series between San Miguel and Magnolia. The Beermen were able to close out the championship in 5 games. When Does The New Philippine Cup Begin? The 2018-2019 Philippine Cup is set to begin in December 2018. Which Types Of Wagers Can I Place On PBA Basketball? You can bet on the point spread, bet the money line (American odds), wager on totals (over/under), place props, futures, bets on alternative spreads and more. Mobile betting and live wagering are also available. How Do I Wager From My Smartphone? Use your smartphone’s browser app to access the mobile-optimized version of our recommended sportsbooks. You can find all the same betting lines, wagering types, bonuses, etc., as you would on the desktop versions. Responsive design technology helps to keep these sportsbooks’ physical and functional elements in place regardless of the screen size dimensions you use.